When summer hits each year rose sails boom across the world. Maybe its the color that makes people want to drink it, or perhaps the fact that you can chill it to frigidly cold temperatures and still be left with a bottle of wine that is full of body and character. Either way wine drinkers everywhere are consuming more and more still and sparkling roses each year in the summer months. Rose is one of those wines that ranges greatly from winemaker to winemaker being that it can be made from many different grapes in many different styles. 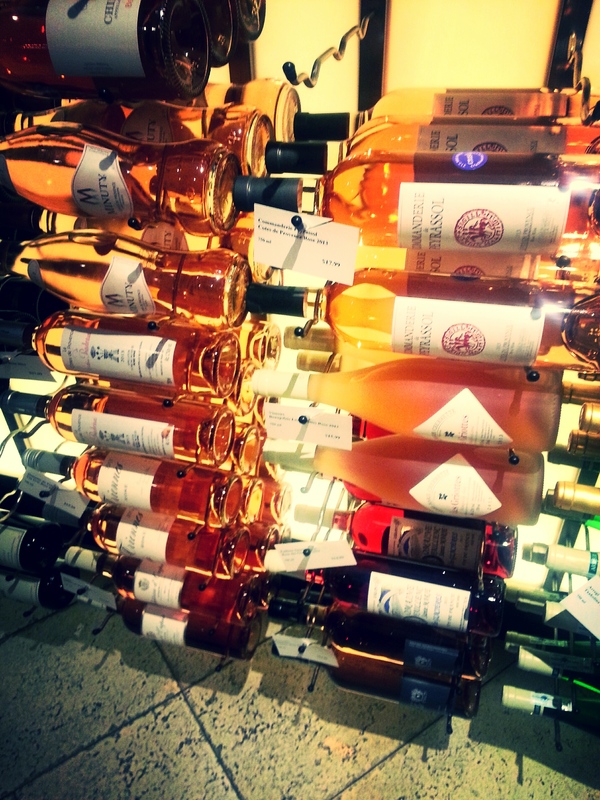 Inevitably the only way to figure out which rose is meant for you is by tasting as many as you can get your hands on. Thankfully each year one of my favorite wine shops in the city (Crush) does what they have dubbed “The War of the Roses.” It is a free tasting held in their stores of different roses in varying styles, and if that’s not enough for you they even hold a vote! (Does it get any better than that, free wine and an election watch out capitol hill 😛 ). We had a fabulous time sampling and chatting about the wines at each tasting table and I’ve decided to share our findings with you, enjoy. Below you’ll find quick blurbs on the 15 Roses we tasted this year, along with my personal ratings on what I liked, rating is out of 4 possible stars total. Crochet produces one of my favorite roses year in and year out, it was wonderful to see them chosen for this years tasting. This was my pick for the winner of The War of Roses this year. It is a wonderfully round rose with balanced body and acidity and lightly crisp fruit flavors. Also one of the only producers aloud to print the varietal on their label by the AOC’s laws in Provence. This wonderful rose was my colleagues choice for best rose this year. It’s delightfully fruit forward with a tradition effervescence that makes it a true treat to enjoy.